· Oracle SOA Suite 12.2.1 New Features Published in February 2016, the #1 article for 2016 was written by Oracle ACE Associate Sandra Flores, a SOA architect. The article presents an illustrated overview of the 12.2.1 release of Oracle SOA Suite. Read the article. · Oracle Cloud Integration In the #2 position, this 4-part article series by Oracle ACE Director Joel Perez and ACE Arturo Viveros was published in January 2016. Written for architects and IT managers, the article addresses both cloud-to-cloud and cloud-to-on-prem integration. Read the article. · Oracle SOA Suite 12c: Startup and Shutdown The article in the #3 position for 2016 is actually a sample chapter from Oracle SOA Suite 12c Administrator’s Guide (2015, Packt Publishing), written by Arun Pareek, Oracle ACE Ahmed Aboulnaga, and ACE Associate Harold Dost. · Author Roundtable: SOA Suite 12c Administration The #3 most-downloaded podcast for 2016 was published in March, and features a discussion with Arun Pareek, Oracle ACE Ahmed Aboulnaga, and ACE Associate Harold Dost, the people responsible for the #3 most-read article for 2016. Listen to the podcast. · SOA and Integration On-Prem and in the Cloud The #2 video for 2016, published in March, features Vikas Anand (Senior Director, Product Management, Oracle SOA Suite/Integration Cloud Service) and Ram Menon (Product Manager, Oracle Integration Cloud Service) in a discussion about meeting SOA and integration challenges on-prem and in the cloud. Watch the video. · Internet of Things: Architecture and Impact The #3 most-watched video, also published in March, is a video replay of Oracle ACE Director Lonneke Dikmans’s session in Middleware track of the OTN Virtual Technology Summit event held that same month. Watch the video. · Oracle Introduces Service Cloud for Unlocking IoT Data Part of the Oracle Customer Experience (CX) Cloud Suite, this packaged integration between Oracle Service Cloud and Oracle IoT Cloud reduces the complexity of IoT projects Learn more. 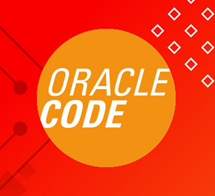 · Oracle Code Coming to 20 cities globally, Oracle Code is an event for developers building modern Web, mobile, enterprise and cloud-native applications. These events will focus on the latest software developer technologies, practices and trends, including: Containers, Microservices/APIs, & DevOps; Databases; Open Source Technologies; Development Tools & Low Code Platforms; Machine Learning, Chatbots & AI.